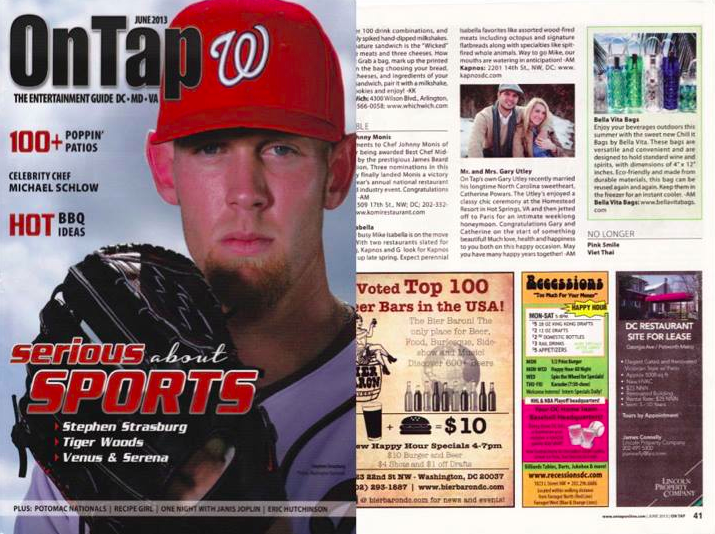 Bella Vita Bags featured in On Tap Magazine! 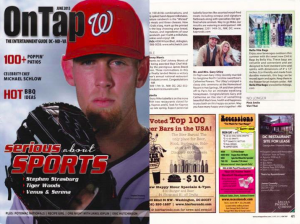 C ongratulations to our Client,Â Bella Vita Bags,Â for their recent feature in On Tap Magazine! Sleek and functional, Bella Vita Chill It Bags are perfect for keeping beverages cool. Contemporary, hexagonal design filled with clear freezable liquid in all 4 sides, housed in a vibrant colored bag.Â These cosmopolitan bags are festive, fun and can be stored in the freezer ready to Chill It when you need them. Bella Vita Bags travels the world to find the nicest gifts and materials: exquisite handmade papers, luxurious satins, velvets and sheers, refined jute, neoprene, felt, cotton and many more all to create the finest wine and gourmet food gift bags.Â Their design team works closely with their factories to develop exclsuive wine totes, olive oil bags, and gourmet food bags, making each a unique packaging alternative and a gift in itself.Â They pride themselves on offering their customers the best quality and service possible. Check them out atÂ www.bellavitabags.com!